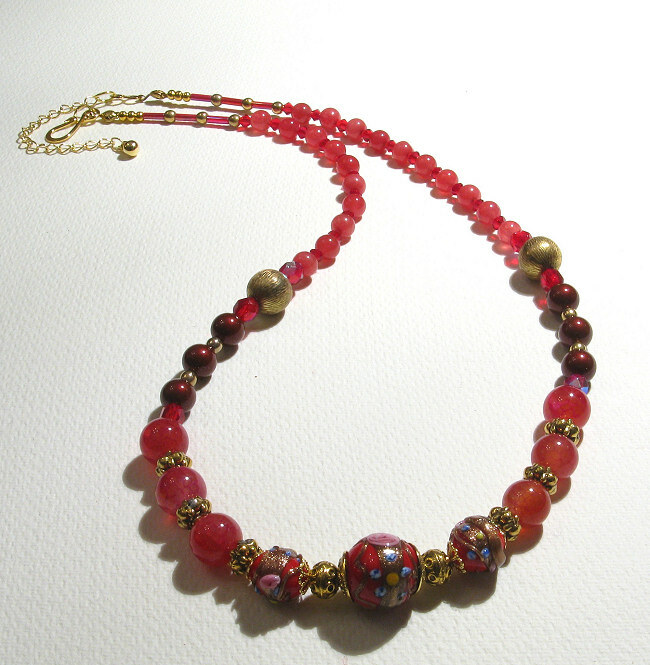 The name of the necklace is Frutti di Bosco, or simply "berries". 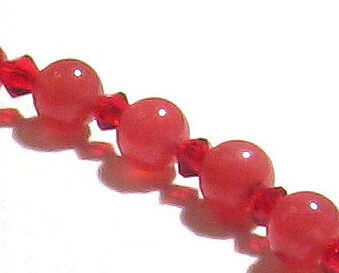 I just wanted to make something red, using my wedding cake beads and some of the red gemstones (jade and coral beads). It is a light necklace, since the coral beads are small and quite light, not nearly as dense as some of the other gemstones (agate, jade and so on). 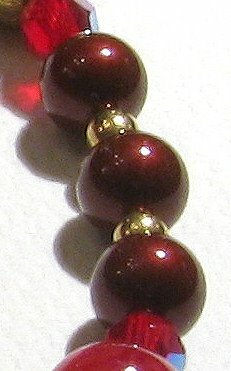 I also did not use big jade beads, but smaller ones, so they would not interfere with the wedding cake Murano beads. 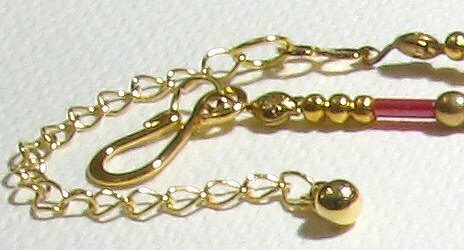 - Gold-plated spacers and little balls, as well as clasp and extension chain. 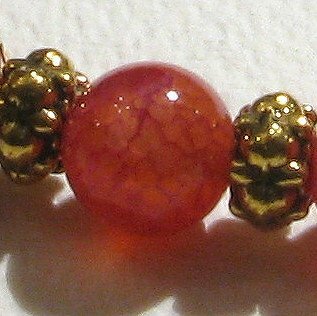 On these pictures you can see the one of the cherry jade beads, which has lovely, organic texture, and the little coral ones at the right, interspaced with the small Swarovski bicones. 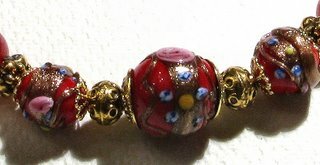 Just click on the above picture to see the wedding cake beads in detail, with beautiful gold foil and swirls. I also used some gold-plated bead caps and spacer beads. I think the bead caps help protecting the beads from rubbing against each other somehow. 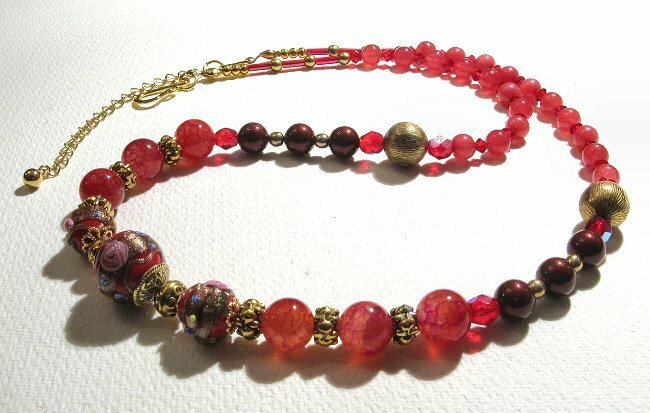 I would hate to damage those little beauties! And a final close-up of the clasp and extension chain.